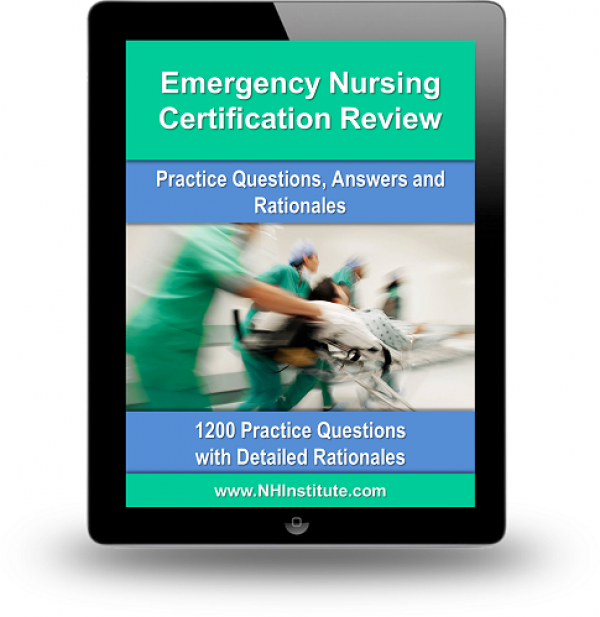 This set of 1200 Practice Questions for the Emergency Nurse Examination Exam is a dynamic program designed to prepare students and professionals for the exam to become a certified emergency nurse. This series of questions can also be used as a self-study module. It provides more than 1,200 exam-style questions with answers and rationales for review and study. The Practice Examination portion of the program provides instant feedback for each question, as well as an overview of results at the end of the exam. This unique online program allows test takers to build their own practice examinations by selective questions from those subject areas where they may need additional practice or support. The Final Examination portion provides a 200-question final exam where feedback and rationales are withheld until the use completes that exam. By the time you are done with this certification review course, you will feel confident and prepared to pass the examination!